West Oxfordshire Academy of Performing Arts students Jamie Andrews and Maddie Good have been successful in passing recent auditions for this year's pantomime in Chipping Norton: Jack & The Giant. This Summer, Jamie passed his Bronze Arts Award (Trinity College) and in May, Maddie appeared as Brigitta Von Trapp at The New Theatre, Oxford with the Oxford Operatic Society. Performances of Jack & The Giant are 19th November 2013 to 12th January 2014. Over the past year, WOAPA students have recorded a CD, performed on the main stage at Witney Christmas Lights switch-on event (2012), performed in The 'Sound of Music' at The New Theatre Oxford, promoted a recording studio in Oxford, filmed an advert for a local author in Burford, sung and performed in a music video and performed at a large summer festival and many other events. 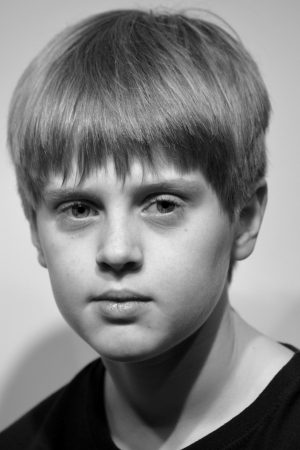 We have helped children with auditions for professional productions, and roles on TV. West Oxfordshire Academy of Performing Arts is a children's Saturday drama school for kids from Witney, Burford, Chipping Norton, Carterton, Eynsham, Woodstock and beyond. Places are limited but there are a few places available - contact us today to enrol your child.